Veterans Affairs mortgages, otherwise known as VA loans, are available to help veterans acquire financing for a home. Unlike traditional mortgage loans, a VA home loan requires no down payment. These loans are made through private lenders and are backed by the Department of Veterans Affairs. This means that there is no minimum credit score requirement and the mortgage does not require mortgage insurance. The requirements for a VA home loan are overall more lax than with other types of mortgages. Learn more about VA home loan eligibility requirements and why you should speak with a mortgage broker about buying a home. Since its creation in 1944, the VA loan program has helped millions of veterans, service members, and military families get the financing they need to become homeowners. 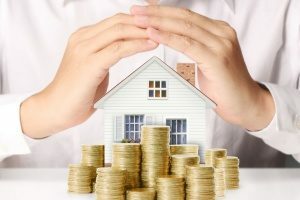 In recent years, lenders have tightened their lending requirements due to the housing market collapse, making it difficult to secure a traditional loan. A VA home loan makes it possible for veterans and other service members to acquire a mortgage, even with no down payment and poor credit. The VA guarantee gives lenders more confidence that they will get their money back. Who Should Consider Getting a VA Home Loan? If you have served in the arms forces, you may be entitled to certain benefits such as the ability to take out a VA home loan. However, there are some requirements before you can obtain these benefits. If you have served in the National Guard or the Reserves, you are required to have served for a minimum of six years before you can apply for a VA loan. If you served for less than six years, you may still qualify if you were discharged for a service-related disability. If you are now serving on regular duty, you may be eligible for a VA loan after you have served at least 181 days. The exception to this rule is if you were discharged or have been separated from a prior qualifying period of active duty. If you are a retired veteran, you must have served for at least 181 days of active duty, or 90 days if you served during the Gulf War. If you served less than the required 90 days, you might still be eligible for a home loan if you were discharged for suffering a service-related disability. In addition to veterans and service members, the family of these individuals may also be eligible for a VA mortgage. Spouses in particular may qualify for a loan if they are a surviving spouse who has remarried on or after age 57, and on December 16, 2003. If you are a spouse of a service member that died during service or died from a service-related disability, you may also qualify. In addition, you may be eligible for a loan if you are a spouse of a service member that has been deemed a prisoner of war or missing in action. What Other VA Loan Qualifications Are There? While it is ultimately up to Veterans Affairs to determine eligibility for an applicant, prospective borrowers can better understand the process and eligibility requirements by learning the VA’s basic eligibility guidelines. First, you may be eligible for a VA home loan if you have served a consecutive 90 days of active service at time of war, if you have served 181 days of active service during time of peace, if you have served more than six years of service in the Reserves or National Guard, or if you are the spouse of a service member who has died due to a service-related accident or injury. While homebuyers who are interested in a VA home loan are not required to meet a certain income threshold to be eligible for a mortgage, they are expected to have a reliable and stable income that is sufficient enough to cover the new mortgage payment as well as any monthly expenses. The VA also requires that there be enough of an income to also have money left over after all major expenses is paid. This is done to ensure that borrowers have a cushion in the event of an unexpected emergency. 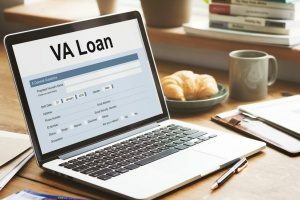 While the VA is the one who determines the guidelines of who is or is not eligible for a VA loan, the private lender that you work with will also have its own set of criteria that you must meet to be eligible for a home loan. This typically includes having a satisfying income, a certain credit score, and a low debt to income ratio. When you apply for a VA home loan, your credit score will be pulled to establish your credit history and overall credit worthiness. The final requirement for a VA loan requires that the veteran or service member not have been discharged due to dishonorable actions. How Do I Apply for a VA Loan? Are you ready to become a homeowner? If so, you may want to apply for a VA home loan. The VA loan process takes an average of 30 to 45 days to complete once you under contract on a home. However, know that every buyer’s circumstances are different and it may take longer for your loan process to complete. Once you have familiarized yourself with the eligibility requirements for a VA home loan, you can contact a VA-approved lender and start your loan application. The next step is to obtain your certificate of eligibility through your lender. The lender will then finalize the loan application after you provide all of the necessary paperwork. This typically includes proof of income in the form of pay stubs, W2s, or tax returns if you are self-employed. The lender may also need to see other types of documentation, such as recent bank statements. Once you have been pre-approved for a loan, you can begin shopping for your new home. Are you ready to get started with your VA home loan application? If so, contact an experienced mortgage broker to start the process.